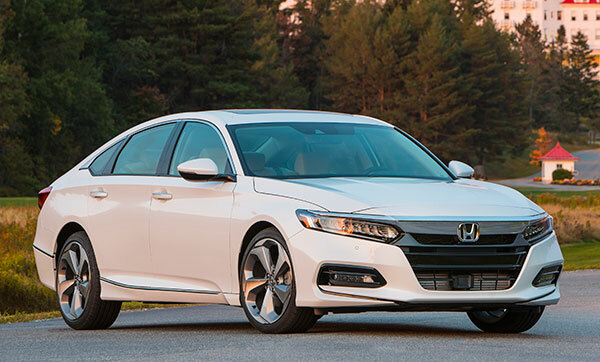 The 2018 Honda Accord is the 2018 North American Car of the Year, a distinction awarded by a panel of more than 60 jurors from print, online, and broadcast media. New Car Test Drive editor Mitch McCullough is one of those jurors, all of whom work independently of one another. The Accord earned this most prestigious of awards because it’s the best car in its class, an all-around outstanding sedan. For those same reasons, New Car Test Drive named it Best Commuter Car for 2018. Refinement is what makes the 2018 Accord outstanding. Everything about it operates smoothly but precisely, making it a superb sedan for those who endure heavy traffic on a daily basis. New Car Test Drive likes the 2.0-liter turbocharged engine with 10-speed automatic. The 2018 Volvo XC60 earned North American Utility Vehicle of the Year, while the 2018 Lincoln Navigator earned North American Truck of the Year. Refinement is a word that describes the 2018 XC60 and the 2018 Navigator, as well. Each of these three vehicles is smooth and refined, in addition to offering the benefits and features people want.